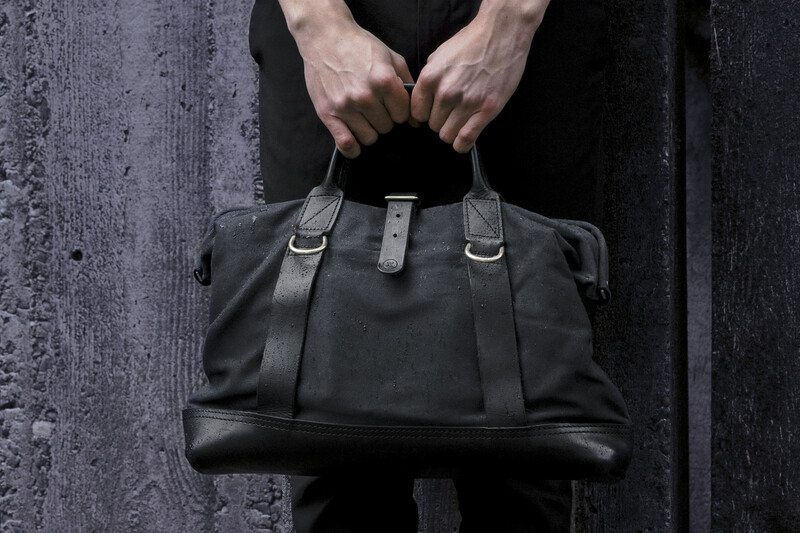 Whether you ride a motorcycle or the metro, some sort of carryall is a necessity for the modern man. 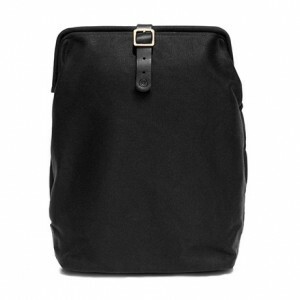 But if you’re still looking for the perfect bag, your search may end with Malle London. Itend to be the over-prepared type. Packing is, therefore, a bit of a ritual for me. Be it a week away or just a handful of hours in the city, I always double-check to ensure I have the necessary travel companions in hand. Or, more aptly, in bag. And when it comes to bags, everyone has an opinion. Backpack vs briefcase. Satchel vs messenger. What we carry, and how we carry it, are equally diverse. Some of us need lightweight and mobile. Some need durable. Others need pockets. Some need a bag for the boardroom while others need one for the back of their bike. And some of us want all of the above. Which is exactly what the founders of badass British bag company Malle London had on their minds when they designed their very first product. And ride they do. Robert and his co-founder (and cousin) Jonathan — who have been riding motorbikes together since they were kids on a family farm in England — spend their spare time going on month-long motorcycle expeditions all over the world. So they’re properly prepared to know the requirements of the road. And, as evidenced by the ruggedly sturdy yet beautifully refined bags they produce, they’ve done a fine job turning that knowledge into an amazing line of products. 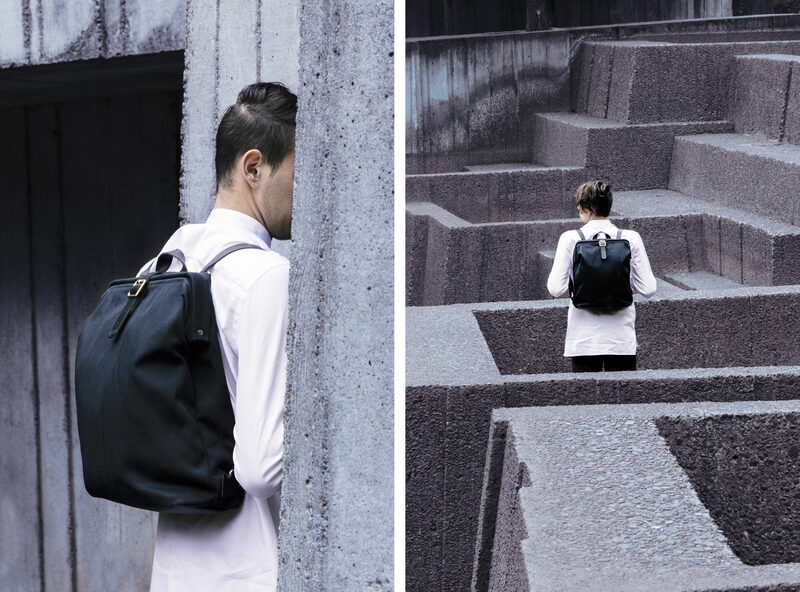 From shoulder bags to backpacks to a handful of small accessories, Malle London designs their products with a focus on long life, local materials (sturdy but organic ones with a short half-life), and a refined yet rugged sensibility. While there are plenty of brands here in the states that pioneer iconic Americana ruggedness, Malle bags have a distinctly British sensibility that makes them feel unlike your classic Filson. Yet, despite their distinct Britishness, the name has distinctly non-British roots. Several years back, before the formation of the brand, Robert came across the French word ‘Malle’: the term for the old wooden tool chests used on trains in the 18th century. “We liked that idea,” says Robert. “We’re essentially creating a similar thing. It’s about transporting tools and your accessories and your daily bits and pieces. I think, in French, you pronounce it ‘mal’. We’ve kind of bastardized the pronunciation because we’re English, so we call it ‘Malle,’” says Robert, with a smile. Bastardized name or not, there’s nothing dishonest about their product. 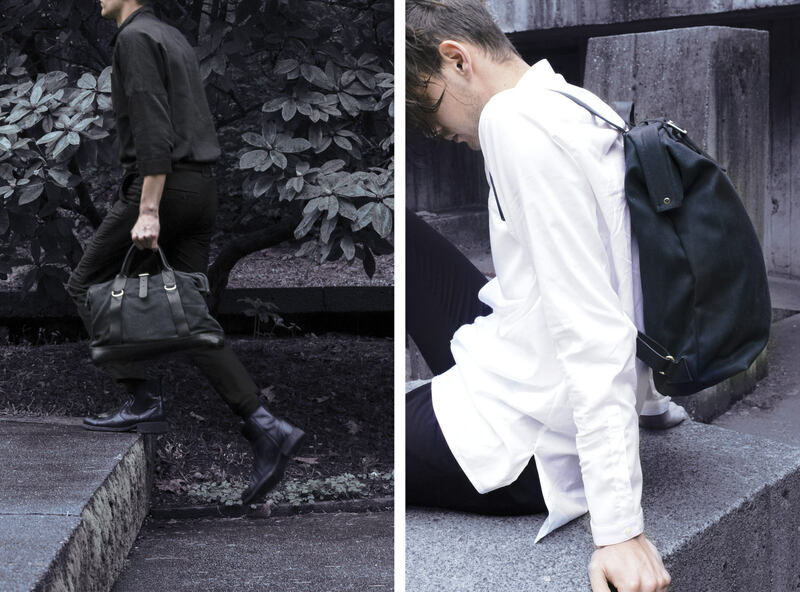 These are authentically modern tool bags for the modern worker. 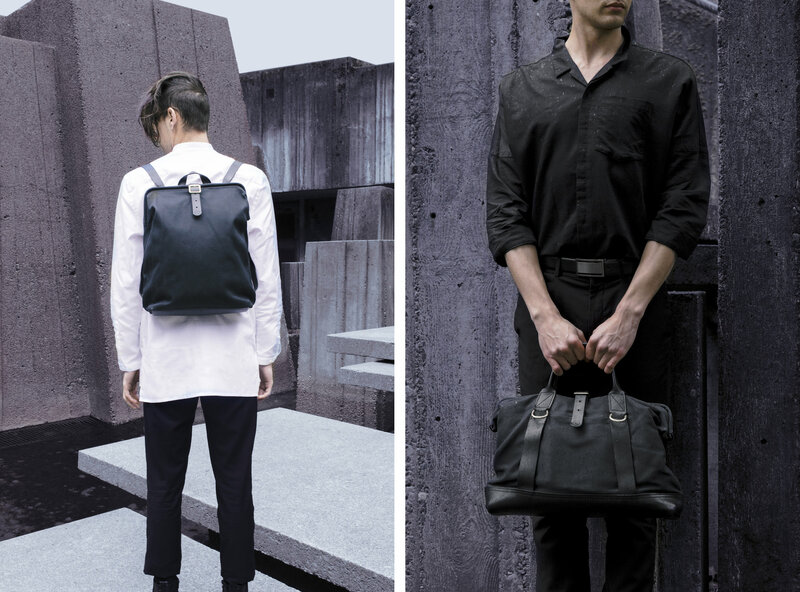 Whether you’re packing a hex wrench and protective goggles or a Montblanc and Persols, each of Malle’s bags are lined with just the right sized interior pockets (most include a laptop sleeve as well, of course), and many feature accessible exterior pockets, along with straps for holding an umbrella, paper, or rolled up jacket. Other things they like? Local, high quality materials. The sturdy, waterproof waxed canvas comes from Scotland. And at 18oz, it’s quite thick, which means it can sit on an exhaust pipe, drag behind your bike, or simply take a good beating in the rain and be just fine. The interior lining (all organic cotton) comes from Lancashire in England. All of the brass, from Liverpool, is solid welded, so there’s no concern with the fixings or straps ever breaking. Everything is assembled in London. And Malle doesn’t rely on zippers, which can easily break. Rather, most bags include an aluminum “Doctor’s” style clamshell frame, held closed with a bridle leather strap and buckle. 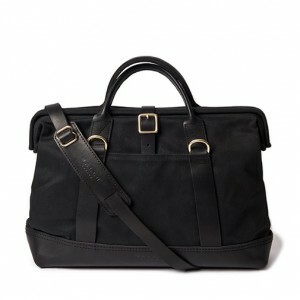 The motorsport influence extends even to the design of how each bag is carried. Whether you need to attach your bag on the side of a sports car or the back of a Land Rover, there are always different mounting points, so Malle created a flexible but universal system of attachment. Using the double-bearing in the side of each bag — a very structurally integral place — you can then use optional motor straps to attach your Malle bag to just about anything. Ultimately, it’s hard to recommend one Malle piece over another. Each one is designed with a slightly different size and function in mind. But whichever you choose, it will get the job done. Whether your commute involves a Hyundai or a Harley, rest assured that Malle is going to get you there with durability, functionality, beauty, and class.